WIP Wednesday – Stockings « Super Mom – No Cape! « Blog Name – Am I Really a Super Mom? This entry was posted on October 12, 2011 at 11:43 am	and is filed under Gift Ideas, Sew easy projects. 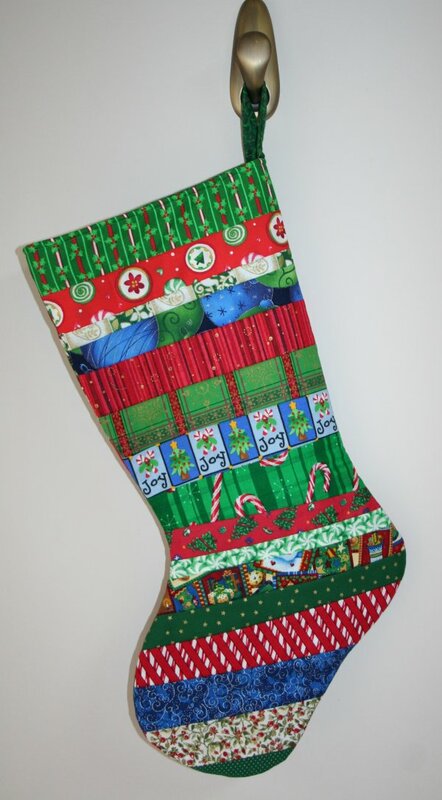 Tagged: 2011 Stocking Giveaway, Christmas stocking, easy sew project, QAYG stocking, quilt as you go stocking, stocking giveaway. You can follow any responses to this entry through the RSS 2.0 feed. Both comments and pings are currently closed. We don’t have Hancocks here either, sadly — I got to visit one in New York several times before it closed, many years ago! Fun new fabrics! 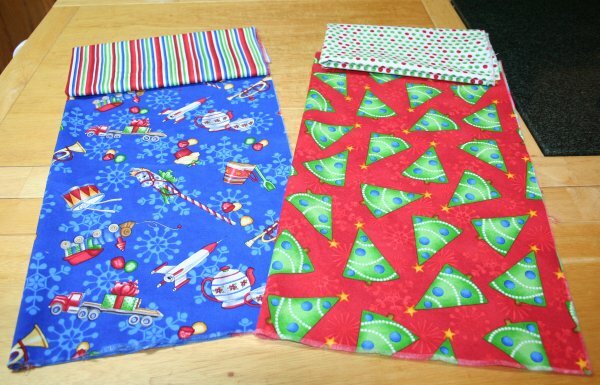 I need to decide on some fabric so I can make a couple more stockings. I think it is a very worthy cause.